The Moorestown Township Board of Education held the first meeting of their Community Engagement Series on Wednesday night. Last Wednesday, the William Allen Middle School media center became a safe space to address hard issues. 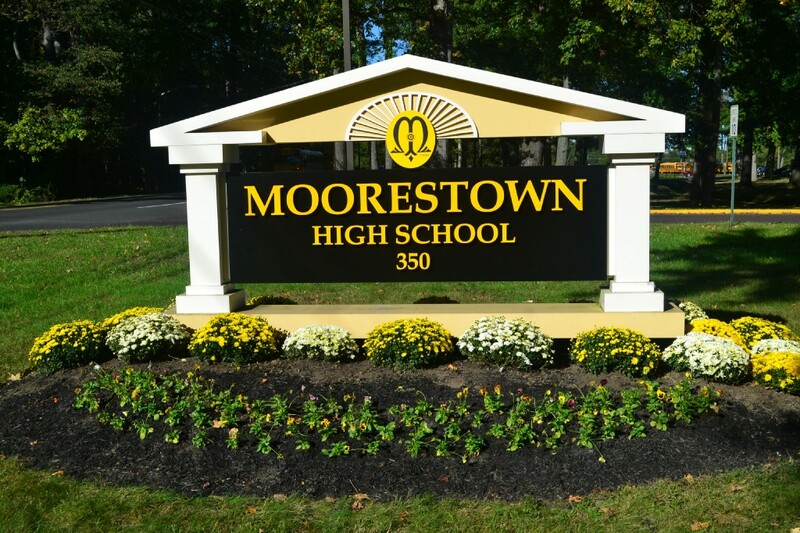 The evening marked the first discussion titled “A Forum on School Safety and Security” in the first of the Moorestown Township Board of Education’s Community Engagement Series. School administrators, board members and parents came together to have roundtable discussions about how Moorestown is keeping students safe and the work that still needs to be done. “We take very seriously this concept: when you send your kids to school, they are our kids,” said Superintendent Scott McCartney. Board President Sandra Alberti said the board has long-discussed the idea of having open dialogues with the community, but they have been constrained by the nature of board meetings. She said for that reason, they decided to create opportunities to speak candidly with parents on hot topic issues. “We came up with this idea of having these ad hoc very topical kind of conversations,” Alberti said. McCartney said school safety is “a constant conversation” throughout the school year. He said when he took on the role of the superintendent, he felt fortunate to have come to a school district that prioritized the social-emotional well-being of students and built that priority into their strategic plan. He said while the district is required to teach reading, writing and math, teachers are becoming more and more responsible for teaching students coping mechanisms and interrelationship skills that have fallen by the wayside in the digital age. When the district passed its referendum to upgrade facilities, many of the improvements were to security. McCartney said the schools have interlocking doors, cameras and vestibules that visitors have to buzz in to in addition to staff members all wearing badges that grant them entrances. In response to a question about locks, McCartney said approximately 99 percent of classroom doors are locked throughout the school day. He said locked doors are one of the best safety measures, and administration is now actively engaged in discussions about how they secure open spaces such as libraries and cafeterias. McCartney said administration’s discussions about safety have run the gamut from panic buttons, alert apps and doors with multiple locking mechanisms. He said in the 2018–2019 school year, there will be new safety procedures in place. “By the start of September, you will get feedback on these procedures, which will be different than what you’re used to, so please be patient,” McCartney said. Moorestown mom Ann-Linn Glaser, a promise leader with Sandy Hook Promise, said a lot of talk about school shooting deterrents revolves around infrastructure but fails to address what students can do to help prevent these tragedies. “The missing part of the puzzle is what can the student do to create a different environment in the school and identify students at risk,” Glaser said. Glaser said Sandy Hook Promise offers free programming to teach students about identifying social isolation and strategies for engaging in conversation with students who are sitting alone. She encouraged everyone in attendance to research the group. McCartney said in his experience, Moorestown staff are adept at identifying students who are isolating themselves. He said when they see this happening, the goal becomes to give these students an outlet — whether its a friend, an activity or a mentor. Attendees were asked to write down suggestions and ideas for tackling school security, which were collected at the end of the forum. Board member Maurice Weeks said, moving forward, the board’s goal is to find topics of interest to the community for upcoming forums to continue gaining feedback from the community. McCartney encouraged those in attendance to feel free to email him at smccartney@mtps.com with topics of interest or concern.